Why do guests love staying at Le Bijou, a separate cottage not an apartment or condo? 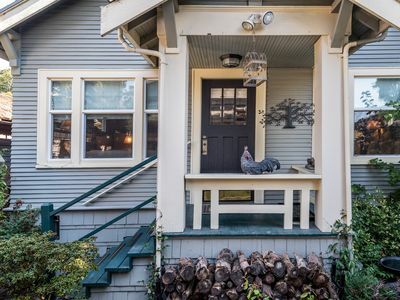 * It is a private and spacious retreat, a 1909 Craftsman home with historic charm and all modern conveniences, newly renovated and 9' ceilings with crown molding. 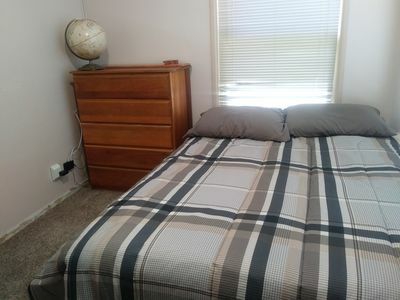 If you are tried of staying in the apartment style vacation rental and want a private retreat in a quiet genteel neighborhood, you have found it! 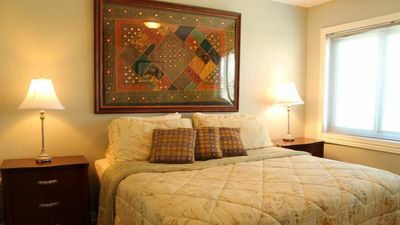 It is perfect for short term rentals and month long stays for visitors, corporate and business travelers and out patients to any of our medical facilities. Bus stop is 1/2 block away. Le Bijou truly offers its guests the best in privacy with in the City, located just steps from the hustle and bustle of downtown Seattle, Chihuli's Glass Museum, MoPop (formerly EMP), Space Needle, Pike's Market, Amazon, The Gates Foundation, Space Needle, Cancer Research Center, Fred Hutch and more. 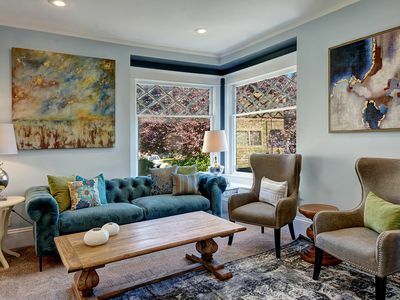 This beautifully kept jewel is located on historic Queen Anne Hill, the only neighborhood in walking distance of the City, has lots of local pubs, restaurants, bar, bakery and boutiques. 'Le Bijou' of Queen Anne (The Jewel of Queen Anne) is a 1909 Craftsman-style cottage located on the western bluff facing Puget Sound It has its own entry and sits overlooking a courtyard. Restored to perfection to preserve the Arts & Crafts details of the early 20th century, this home features charming crown molding and wainscoting, as well as lathe and plaster ceilings. 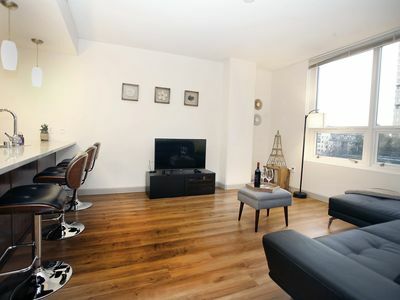 The walls and original old growth fir floors were lovingly and meticulously repaired and given new life. 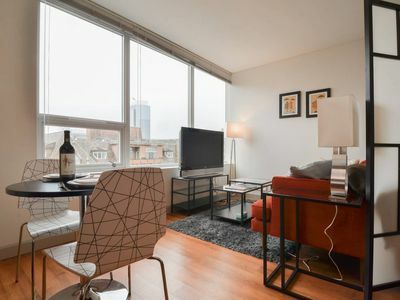 ~Le Bijou is completely equipped with all the modern conveniences and luxuries one would hope to find in totally up-to-date accommodations in the city . 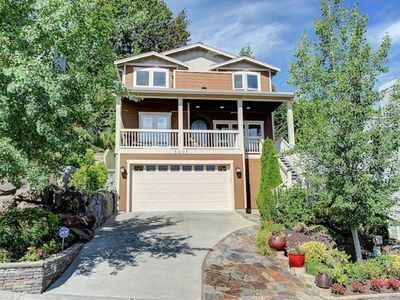 . . yet it’s nestled in a private, quiet, intimate Queen Anne neighborhood. ~The living room retains its original architectural elements, with the addition of a gas fireplace to take the chill out of the evening air. A beautiful antique cherry mantel with marble surround is a focal point of the living room. ~Do you long for a truly decadent night’s sleep in a fabulous bed? Well, we’ve provided for that, too. Through French doors, you will find the master bedroom, where you’ll embark on what very well may be the best night’s sleep you’ve ever had. We have personally researched and selected luxury, earth-friendly mattresses that can be adjusted for you and your sleeping partner’s unique comfort preferences. Our mattress covers, deluxe mattress toppers, and pillows have also been carefully vetted and chosen, in partnership with a seasoned bedding expert, for your total comfort. 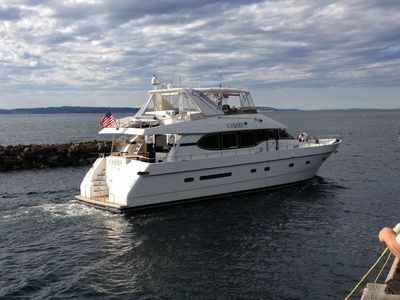 We’re confident you won’t go "Sleepless in Seattle". There is additional queen-sized bed in the living room. This sofa/hide-a-bed, made by American Leather, is the finest, most comfortable convertible bed made. 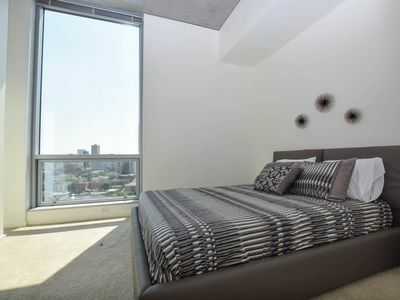 It is NOT your typical hide-a-bed. Of course, the linens are all selected specifically for your comfort with their perfect weight, drape, and breathability, and always freshly ironed for your arrival. ~ The kitchen has everything a cook could want: handsome original cabinetry, plus a farmer's cast iron apron sink, exquisite tile work, and a granite table with 2 whimsical chairs that remind your host of 'Alice in Wonderland' and the Red Queen at tea in the garden. ~The bathroom is well stocked with everything to pamper you: heated floors, a restored claw foot cast iron soaking tub, 48" granite-topped vanity with ample drawer space for longer stays, and a graciously sized shower. Turkish towels of the highest quality are provided for you, as well as top of the line, spa quality cleansing products. For stays longer than 7 days, fresh linens and towels will be provided. 'Le Bijou' is completely separated from the main house on the property and totally self-sufficient, as if you were staying in your own residence. You’ll enter the brick courtyard along a bricked garden path, past a unique cultivated garden at the front of the property. You’ll be welcomed into the courtyard with perennial and annual flowers comprising a lush garden atmosphere. You can barbecue your catch of the day and spend the afternoon in comfortable seating enjoying the sunshine or sitting around the fire pit. 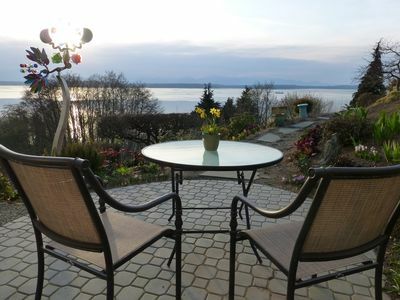 Or you might while away an afternoon or evening relaxing, barbecuing, conversing around a fire in the evening, dining by moonlight, and enjoying the magnificent views from the bluff and Puget Sound. A lockbox is provided for guests for convenient daytime or nighttime access. It is opposite the front door on the porch vertical post with a flashlight for additional light at night. Your host lives in the main home on the property and is available to answer questions, provide information, or find what might be missing from the kitchen, or anything else you may need. 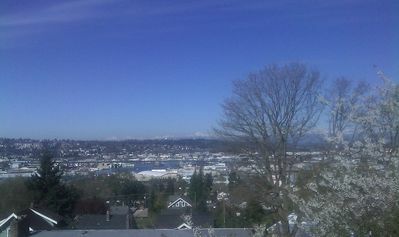 West Queen Anne is on the bluff overlooking Puget Sound, West Seattle, the Olympic Range and Cruise Ship Terminal. The immediate area is easily accessible to the Theater District, Seattle Center/Space Needle, shopping, fine and casual dining, and boutique bars and pubs in upper and lower Queen Anne, artisanal bakeries, quaint shops, Pike Place Market, SAM (Seattle Art Museum), many university level educational facilities, and more. All major hospitals — Virginia Mason Hospital, Swedish Medical Center, Group Health Hospital, Harborview Medical Center, Seattle Cancer Care Alliance, Fred Hutchinson Cancer Research Institute, and The Bill and Melinda Gates Foundation — are within 10 to 15 minutes. 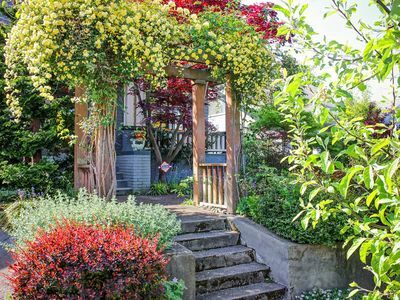 You’ll find Queen Anne to be an artistically thought out, calm, peaceful haven within the heart of the city's hustle and bustle. 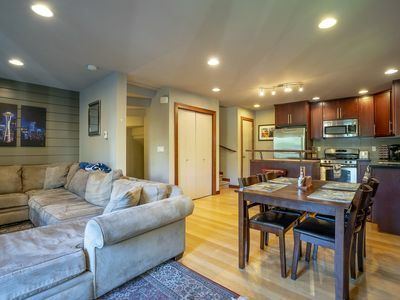 'Le Bijou' of Queen Anne is located one-half block from the bus stop and within easy walking distance of Lower and Upper Queen Anne and all of Seattle's many attractions, while providing the ultimate privacy and comfort in a beautiful setting. For longer distances, a car is recommended. Location and accommodations are ideal for visitors, vacationers, and executives. 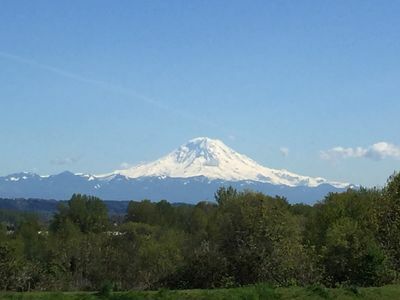 It’s also ideal for individuals traveling to Seattle for medical care, being in close proximity to hospitals and medical research centers. 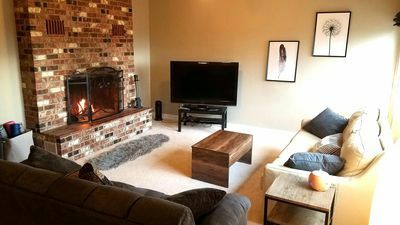 Private Suite - Minutes from SeaTac Airport! 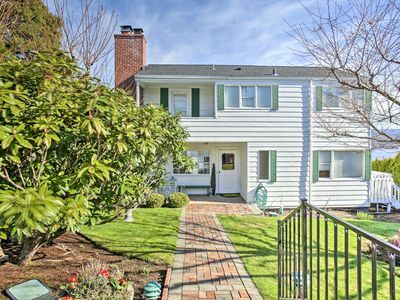 Lovely Queen Anne Bungalow, Close to Downtown! Stunning Decor w All the Amenities, Cute & Cozy! 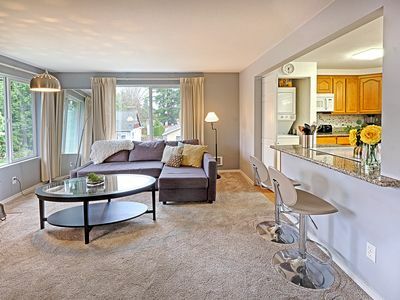 Spacious 3BR/3B, Parking, Walk to UW & Lake Union! 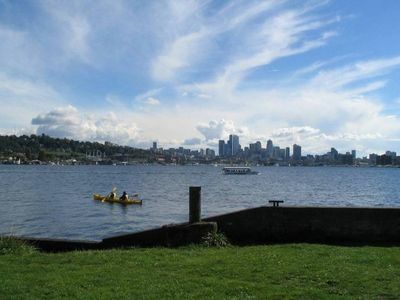 Lago Vista Casa ★ Mins from Lake Union ★ Sleeps 6!